Fans of the legendary music group will love this Beatles Drum Head Bottle Opener. 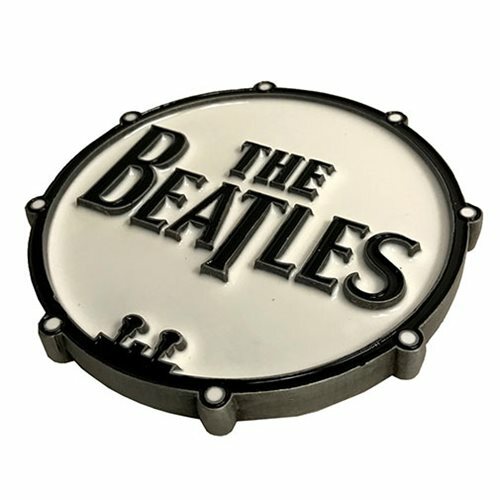 This high quality, heavy duty metal bottle opener features the iconic The Beatles logo embossed on a kick drum. Opens bottles with ease! Measures about 5-inches wide x 5-inches long.